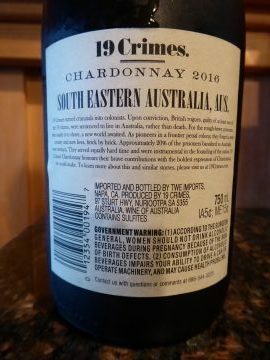 This Hard Chardonnay is a white wine produced by the Australian Treasury Wine Estates winery under its 19 Crimes brand. The 2016 vintage has a nice golden color. 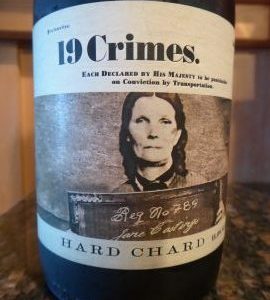 My tasting notes say that its nose is powerful and complex: yellow fruits (mirabelle plum) vanilla and butter. 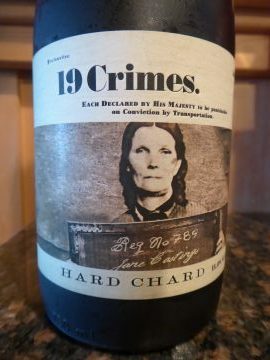 In the mouth, the wine is balanced between crisp & freshness and full-bodied impressions. The yellow fruits of the nose are also present with some toasted wood. The finish is medium.